There has been a lot of things said in the past about eggs and if they’re actually good for you or not. Today we would like to clear up any misconceptions that you may have and get you on an eggsellent path to health and wellbeing. Did you know that Australians eat approximately three billion eggs each year, that’s about one hundred and seventy per person each year. Our earliest human ancestors ate eggs and our bodies have evolved needing the nutrients that are found in eggs. All known vitamins are found in eggs, except Vitamin C which is only found in plants. This includes Vitamins A, D, E and all 8 of the B group vitamins. Eggs also contain iron, zinc, iodine, phosphorus, potassium, plus many more. Almost 50% of the nutrients found in eggs is pure protein. This protein is of such a high quality that it is used as the standard by which all other protein is tested. Protein is needed for building and repairing the cells in muscles and other body tissues. Eggs are also a rich source of Vitamin B12, approximately 20% of the recommended daily intake. Vitamin B12 is essential for the production and integrity of the body’s cells and can help to prevent many types of disease including cardiovascular disease, by lowering Homocysteine levels. Other areas which can be helped by the consumption of B12 include; the digestive system, the immune system, respiratory problems, energy levels, fatigue, alertness, anxiety, confusion, depression, insomnia, memory loss and skin disorders. Eggs are high in Folate which is needed before and during pregnancy to help reduce the risk of birth defects such as spina bifida. Eggs contain 12.8% of the 400 micrograms per day intake of folate recommended for women of child-bearing age. Whole eggs have long been falsely accused as a cause of high serum cholesterol and heart disease, mostly because they contain substantial amounts of fat and cholesterol. Recommendations to limit daily consumption were initially based on cholesterol content but statistics now show that eating eggs does not contribute to elevated serum cholesterol levels. 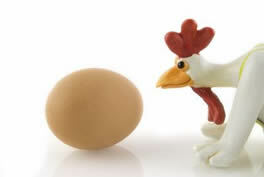 In fact studies now show that eating eggs may in fact help to relieve the body of cholesterol. Likewise studies now show that there is no link between eggs and an increased risk of heart disease. So rest assured, you can go ahead and enjoy your eggs, as they are one of the healthiest foods in the world. Also just in on the benefits of consuming eggs, researchers have found a possible link between women’s eating habits during their teenage years and their risk of breast cancer as an adult. Women, who ate one egg every day as teenagers, are 18% less likely to develop breast cancer as adults. Eggs also strengthen the body’s cell membranes which in turn help to strengthen our immune system, preventing us from getting viruses etc. The condition of your hair may also improve due to eating eggs; this is due to the high levels of cysteine found in eggs.